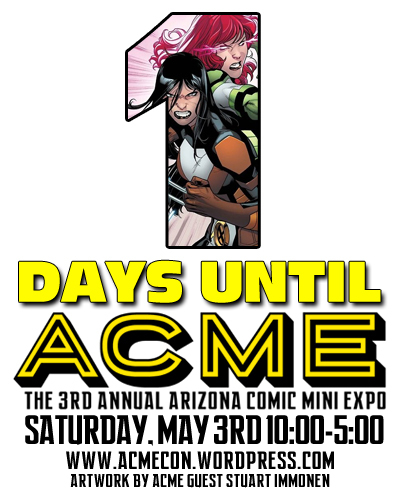 I just wanted to thank each and every one of our super great guests, our amazing crowd, and some wonderful sponsors for making ACME 3 the biggest and best event yet. A very special thanks to Stuart and Kathryn Immonen for their generosity, graciousness and being all around a couple of the nicest people I have had the pleasure to meet. Cory Walker is amazing, and provided me with the best promotional artwork I could ever ask for, I can’t thank these three enough for their support. 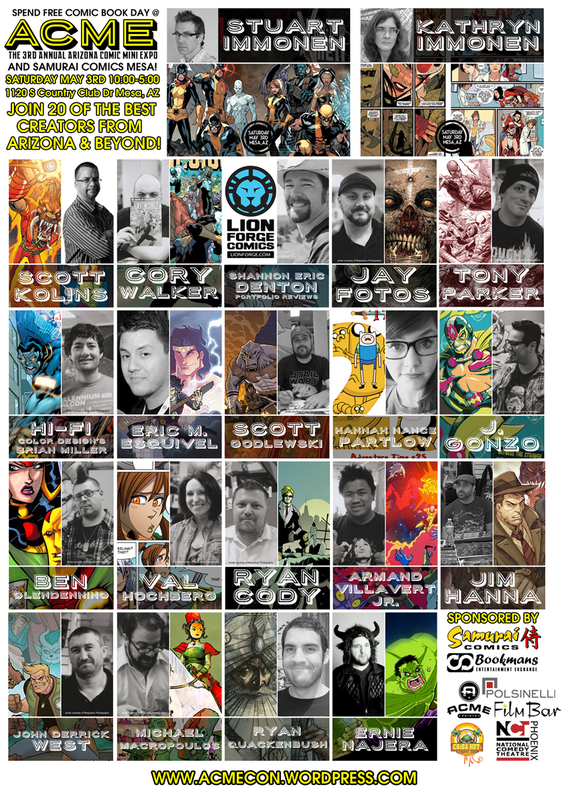 Samurai Comics and Bookmans Entertainment Exchange once again became flagship sponsors early on and helped immensely. Andrew Turk and Polsinelli Associates & The National Comedy Theater were new sponsors this year and really helped out, both are wonderful companies and people to work with. Acme Prints once again stepped up to provide all of our great marketing materials and went out of their way to help us. FilmBar Phoenix was an excellent spot to hold our first ever ACME gallery showing, and we’re very happy to partner with them for our exhibit that runs through May. Lastly, a big thanks to Cheba Hut for providing all ACME guests with delicious sub sandwiches! 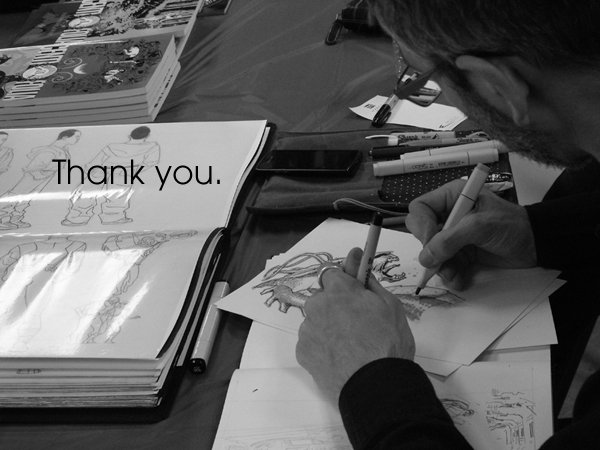 Thousands of comic fans funneled through the store on Saturday and I hope each of you had a great time. 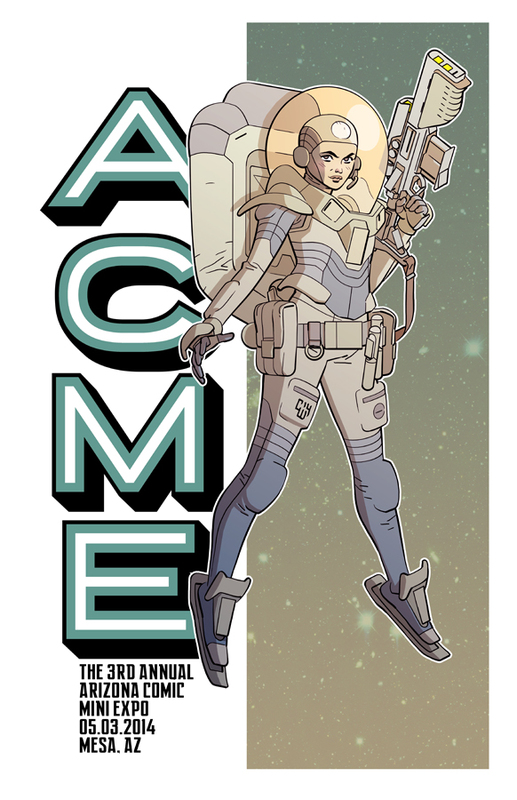 Keep an eye out for other ACME events coming later this year and we’ll see you next May for ACME 4: The Bride of ACME! 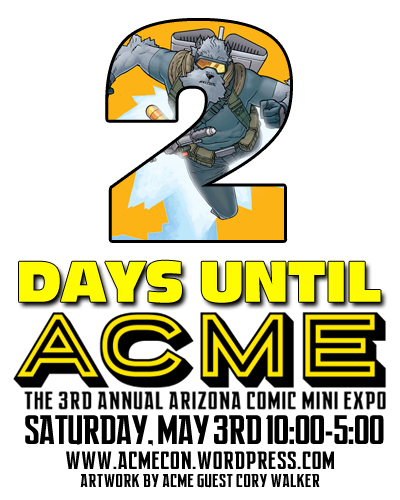 Ryan Cody – Arizona Comic Mini Expo guy. Tonight! 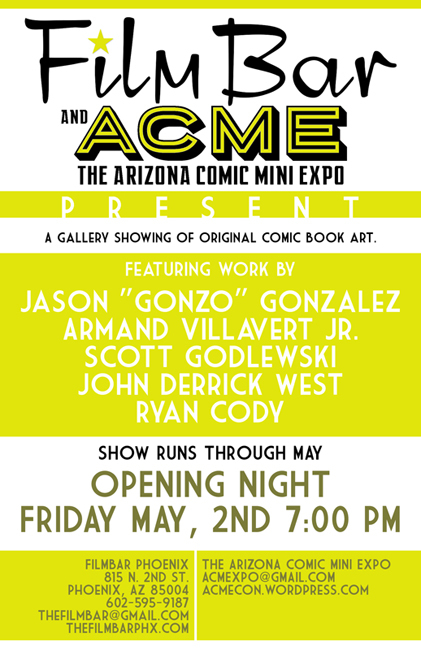 Come out to the FilmBar Phoenix for an ACME kick-off art show!